It is ironic to say the least. The stadium built to be airy and light now has to get dark and opaque. It's required by NCAA and might improve the $1.1-billion stadium's versatility. 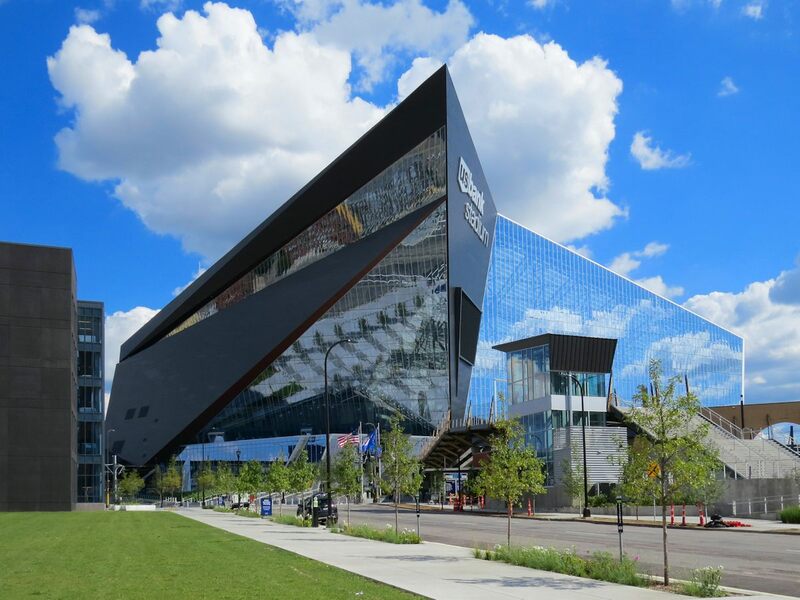 Host of this year's Super Bowl, U.S. Bank Stadium, is already one of the most expensive stadiums ever built. And yet further millions will have to be spent on infrastructure that you'd imagine is already in place at a stadium worth $1.1 billion. 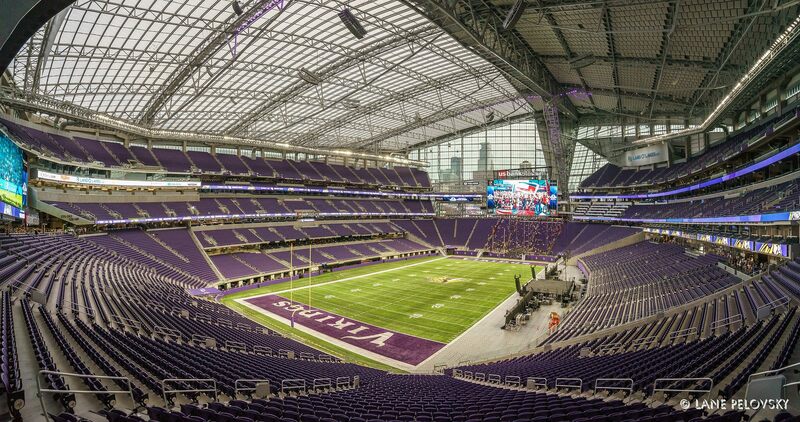 As reported by the Star Tribune, just two days after the Super Bowl, the stadium's owner (Minnesota Sports Facilities Authority / MSFA) sought proposals for the design, manufacture, installment and testing of “blackout curtain drapery” for the stadium. And the MSFA wants the curtains to be reusable for other events, including concerts. 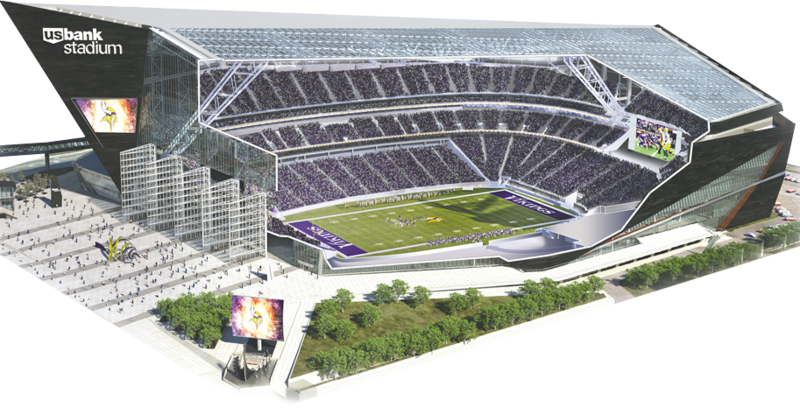 The 1.5-year-old stadium was designed specifically to be as airy as possible, making up for the fact that it's a fully enclosed dome. Retractable roof proved too expensive, so a compromise was found. 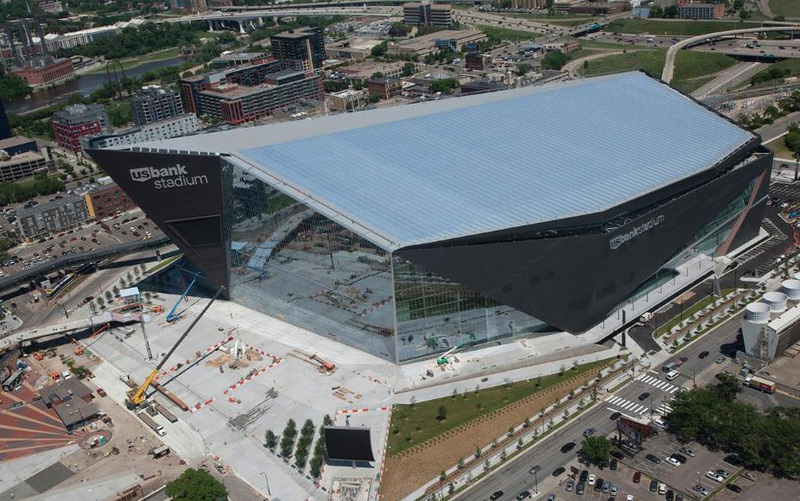 The southern part of the roof is almost entirely transparent, covered with ETFE. Western facade is almost completely glazed, which created over 40,000 square meters of sunlight access. 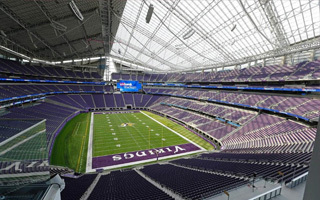 It was created to guarantee the feeling of open-air stadium while also weatherproofing the stadium. Now the NCAA demands for the stadium to go dark, just like basketball arenas do. It's unclear how much the curtains will cost, but once they're bought, they should boost the stadium's event options. Not limited to just cover its windows, they could also divide it into smaller zones. It's a measure well-known already, used in the likes of U Arena or Stade Pierre Mauroy in France. Not only the curtains are expected to arrive within the next several months. The stadium also lacks permanent window washing equipment. While no price tag has been put on the infrastructure, it will clearly cost a couple to a few million.